African low-cost airlines Fastjet (AIM: FJET) is raising GBP 50 Million through the issue of new ordinary shares at GBP 1p per share. The net proceeds of the fundraising will be deployed in two key areas: expansion working capital and the acquisition of used Airbus A319 aircrafts. The company indicated that a range of benefits would accrue from bringing purchased aircraft into the fleet, specifically balance sheet enhancement, cash flow reduction and the deferral of maintenance deposits. Fastjet intends to further develop its operations by growing organically and with the addition of new international routes, by launching operations in five specific countries and by growing its fleet and customer base. 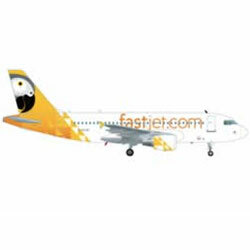 Fastjet fleet is expected to grow using a mix of aircraft ownership models and by 2018, it is anticipated that approximately one third of the fleet will be leased, a third equity financed, and a further third debt financed. In December 2014, Fastjet Tanzania achieved its first profitable month of operations, thanks to maximisation of fleet capacity and improved revenue per passenger.